Nice satellite imagery via the University of Maryland’s FIRMS (Fire Information for Resource Management System) and NASA’s MODIS Rapid Response System. 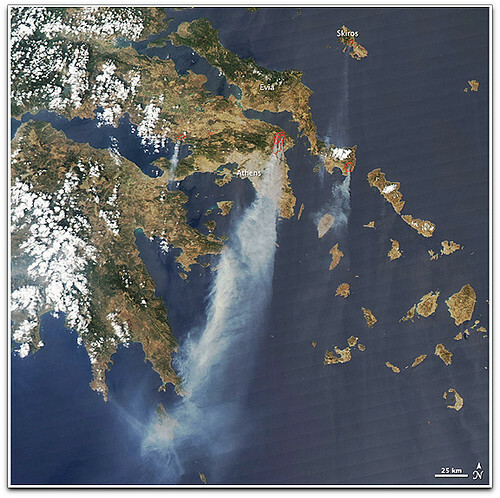 MODIS: Moderate Resolution Imaging Spectroradiometer. This entry was posted on Tuesday, August 25th, 2009 at 7:08 am	and is filed under Observation, Satellite TV. You can follow any responses to this entry through the RSS 2.0 feed. You can leave a response, or trackback from your own site.